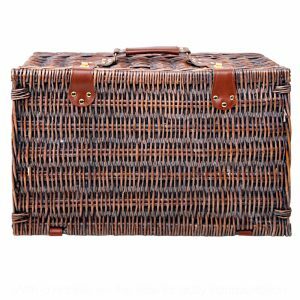 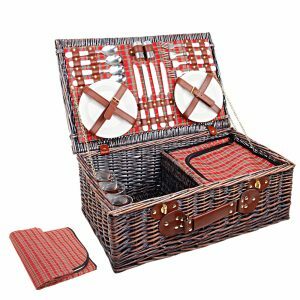 Made from quality willow with PU leather straps and cotton linen lining, this is a sensational 4 person picnic basket. 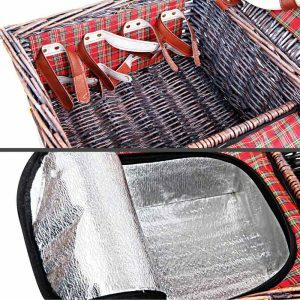 With a built-in thermally-insulated cooler bag, the basket will keep the food and drinks cooler for a longer time. 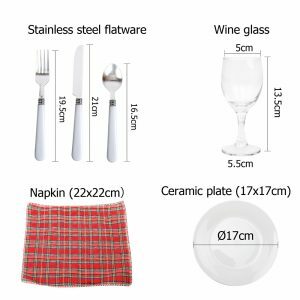 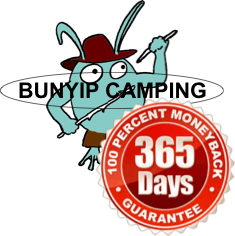 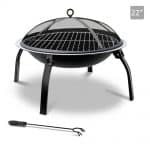 4 sets of cutlery are included for 4 people to enjoy an afternoon of outdoor fun. 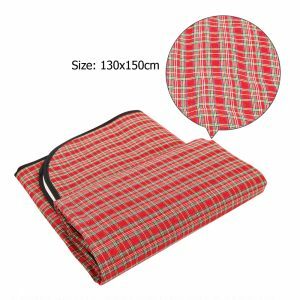 The package also includes a large colour matching blanket. 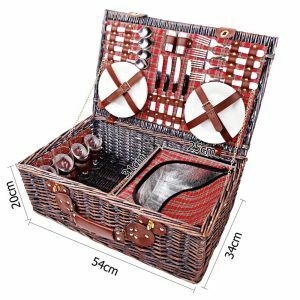 This 4 person picnic basket is perfect for the races, harvest picnics, grape grazing events, Christmas and summer gatherings! 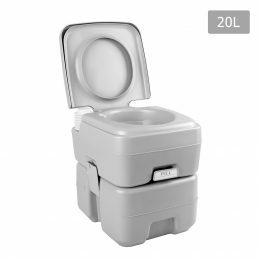 You’ll be surprised how often it will be used.